A few years ago, I bought my dad the Baked Explorations cookbook for his birthday – solely based on the gorgeous food pictures and creative recipes (ashamed to admit, I had not heard of Baked before seeing the book). Wow – definitely not disappointing. We have made countless recipes from that book and they have all turned out pretty fantastic. Given the gorgeous pictures and tasty recipes, it was only a matter of time before I got myself up to Baked in Brooklyn, and just like that cookbook, very much not a disappointment. 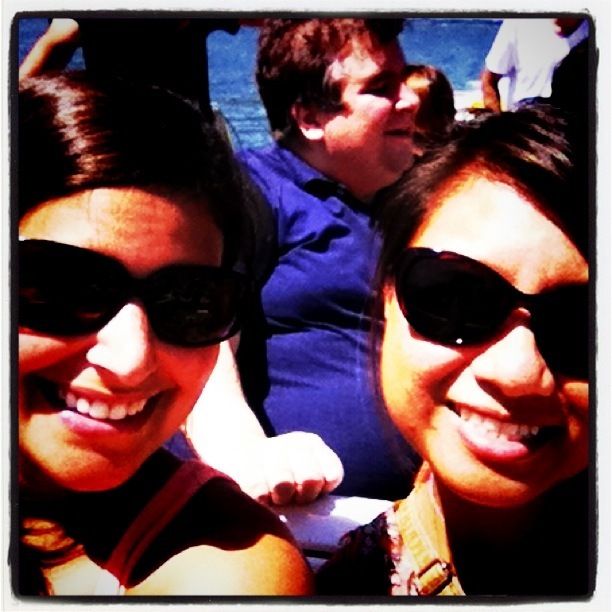 First of all – we got to take a ferry there and ferries are always a good time, especially on a beautiful summer day. No, that wasn’t all for me. I did taste it all though, and it was all delicious. 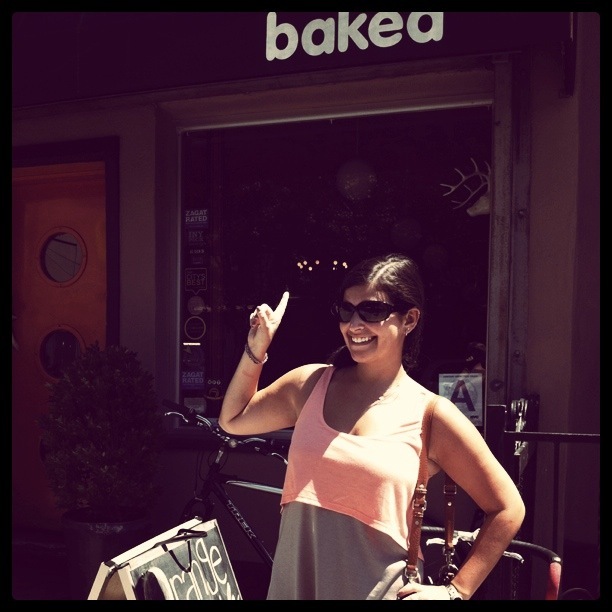 New York City is definitely one of my favorite places in the world for so many reasons – having places like Baked being one of them. I find myself suffering from NYC withdrawal if I haven’t visited in awhile, and it’s been almost a year since I was last there. Withdrawal is definitely setting in. 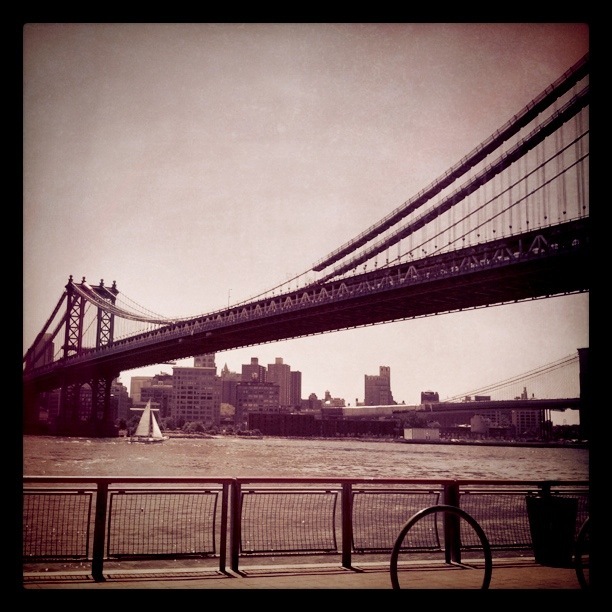 This is why I love visiting NY, and my NYU bffs. 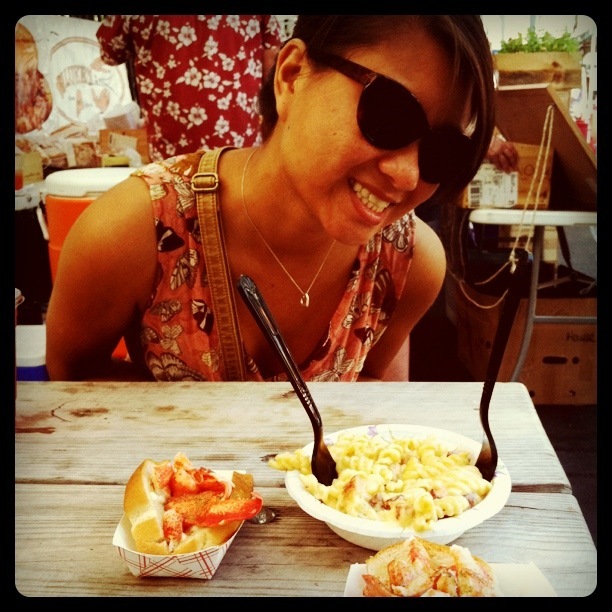 Lobster rolls + bacon mac and cheese are considered perfectly appropriate breakfast foods. Since grad school has basically caused me to forget the definition of the word vacation and I have no idea when I will set foot in NYC again, I decided I would attempt to bring NYC to me – in the form of baked goods. To be honest, I would rather somehow make my NYC soulmate and fellow food-lover magically appear – but I think that might be a little more difficult. 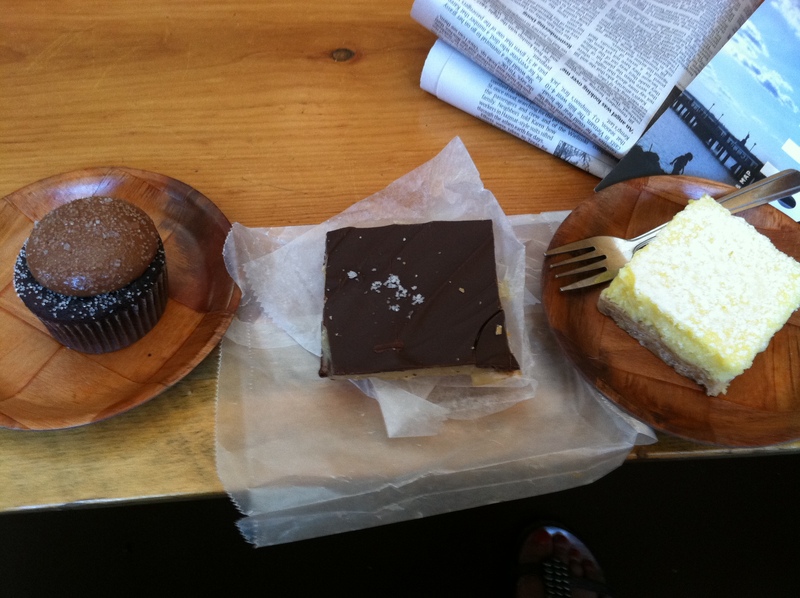 So for now, baked goods will have to do. Although I never actually tasted the famous “Brookster” when I was at Baked (they had salted caramel bars – how could I resist?! ), I have been wanting to make one ever since I became aware of its existence. A brownie with a cookie baked inside of it?! GENIUS! They sell the mix at Williams Sonoma, but it doesn’t quite fit into my grad student budget and I am not much of a mix girl. Now, I am going to be a giant hypocrite and admit that when it comes to brownies alone, I have always loved brownies from a mix (to the point where if I am super desperate for a dessert asap, I will combine brownie mix and water and eat it. 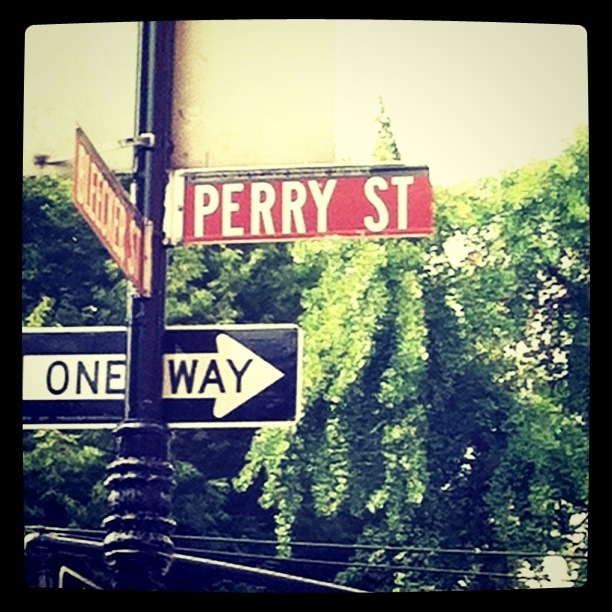 And love it. It is what it is.) I have never made brownies from scratch that taste better than Ghirardelli brownies – whether that is a problem with my baking or a testament to how yummy Ghirardelli brownies are is yet to be determined, but I am going to go with the latter. Now chocolate chip cookies on the other hand – COMPLETELY different story. In my opinion, fresh baked chocolate cookies made from scratch are the epitome of dessert – simple, easy to make, and unbelievably delicious if done right. I usually do my own variation on Alton Brown’s “The Chewy” – and by my own variation I mean that i use skim milk instead of whole milk and all purpose flour instead of bread flour. Not at all because I think it will taste better that way, really, it is just because those are the ingredients I typically have on hand, and when I want to bake, I want to bake like five minutes ago. I love Alton’s recipe because it uses melted butter, and that makes for easier mixing (given my usual lack of an electric mixer). The one downside – the need to plan ahead and be patient because these cookies are truly better after being refrigerated for at least 24 hours. Waiting a whole day to taste the fruits of my labor is definitely the hardest part of the recipe! 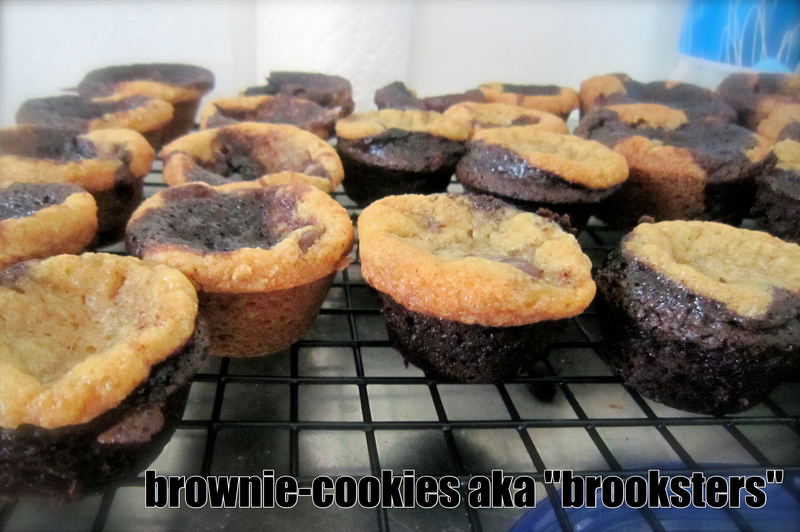 So, making brownies from a box mix and homemade chocolate chip cookie dough – here is my interpretation of the “Brookster.” I even got CRAZY and did a reverse brookster – brownie in a cookie! No idea which I liked more – they were both awesome. Too awesome, I need to get rid of them asap or I will eat them all. This is definitely making my list of top 10 desserts ever. Thank you Baked! Cookie Dough: In a large bowl, mix together the dry ingredients (flour/baking soda/salt). Meanwhile, melt the butter over medium low heat. To give the cookies a more nutty flavor, brown the butter (careful not to burn it though!). While the butter is melting, stir together the sugars. Add the melted butter and stir until well combined. Add the milk and vanilla followed by the eggs, one at a time. Mix until incorporated and add the flour mixture, one third at a time. 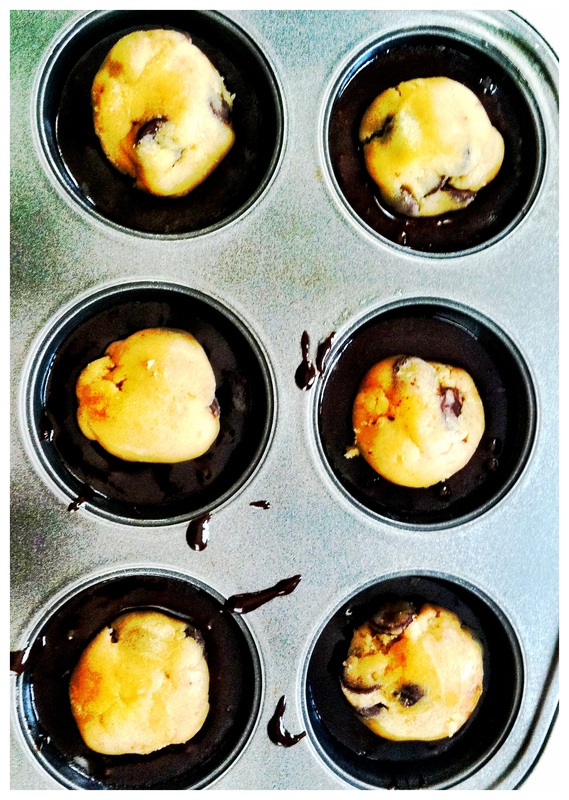 When you get to the last third, add the chocolate chips and mix along with the flour (helps to prevent over mixing). Here comes the hard part – cover and refrigerate for at least 24 (or up to 36) hours. Brownies: First, remove take out the cookie dough so that it can warm up a bit before putting together the brooksters. Prepare the brownie mix as directed. I don’t know who I think I’m fooling (not even myself), but I decided to substitute applesauce for half of the oil in the brownie recipe. The point of that? No idea given all the other stuff going into this – I think I was just curious and I had applesauce for a change. And the brownies tasted the same to me, but that could be because they were surrounded by buttery chocolate chip cookies. Ok, back on track with the recipe. Constructing the Brookster: Preheat oven to 375. 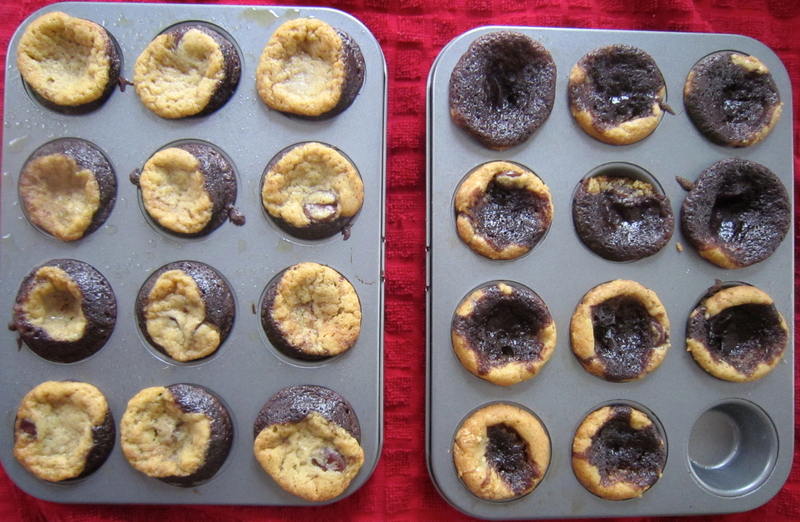 Spray muffin tins (mini or regular sized – I did both) with cooking spray (very important step I realized, those brownies do NOT like to come out of the tins). Fill half way with brownie mix – trust me, JUST HALF WAY. I, of course, did about two thirds, and there was a lot of overflowing going on. 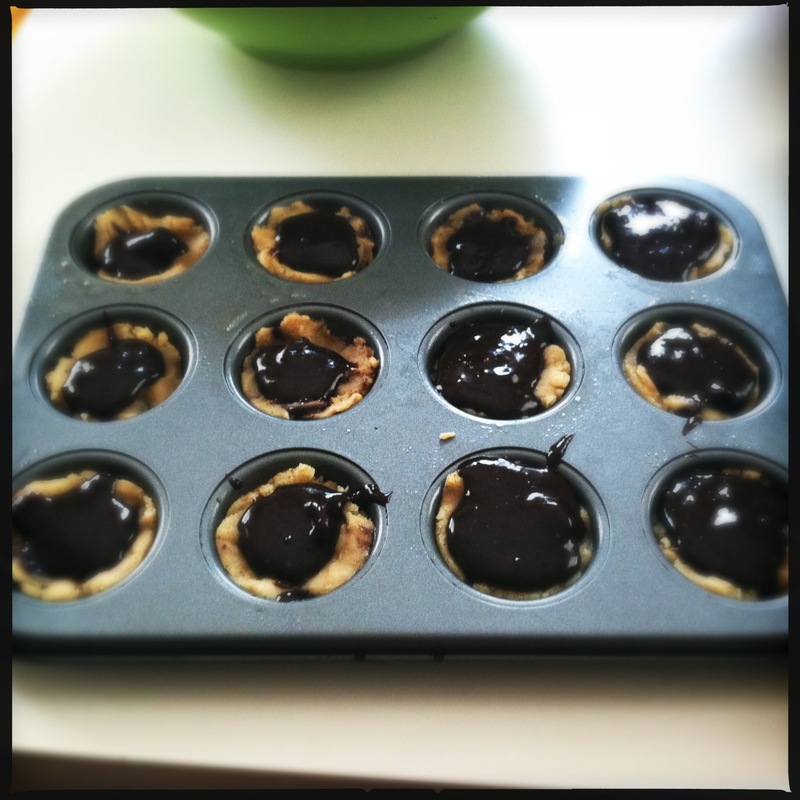 Next, form balls of cookie dough (I used a teaspoon for the mini muffin tins and a tablespoon for the regular size – I should have gone a bit bigger I think) and flatten slightly so they look like fat little discs. 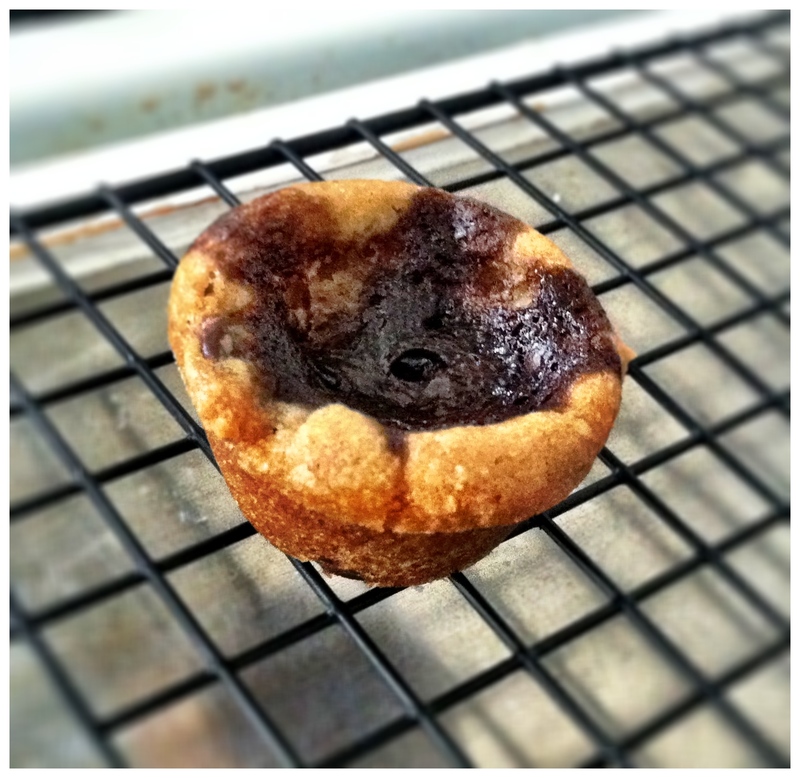 They should be slightly smaller than the muffin tin. Drop the cookie dough discs into the brownie batter and put in the refrigerator for 5-10 minutes (they will bake more evenly if the brownie batter/cookie dough are the same temperature). Bake (13-15 minutes for mini Brooksters; 20-22 minutes for big Brooksters). Constructing the Reverse Brookster: this is basically just the opposite – so you will end up with a bigger cookie to brownie ratio. 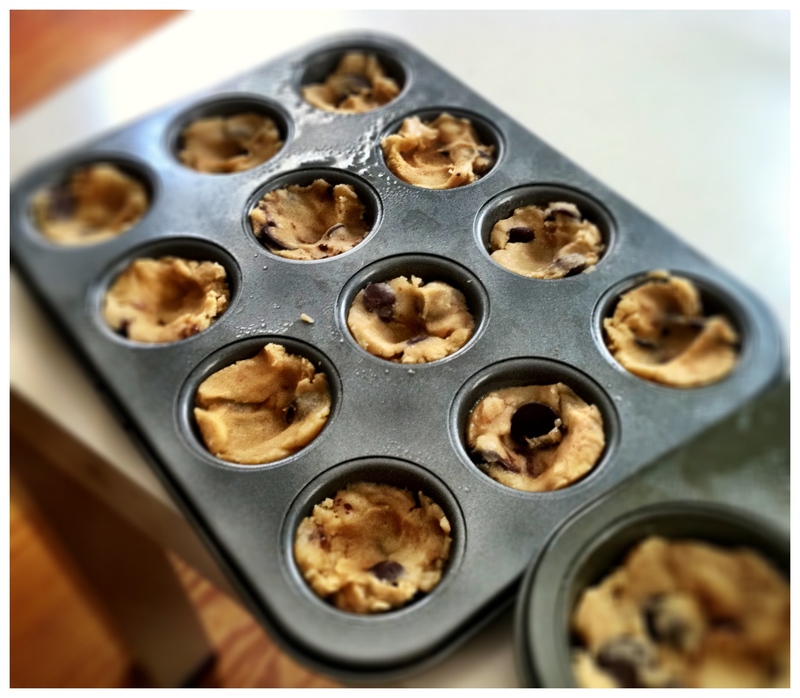 Press cookie dough into the muffin tins, again, fill about half way. Make a small indentation in the center and fill with the brownie mix (about 1 teaspoon for mini muffin tins, 1 tablespoon for larger tins). Refrigerate for 5-10 minutes and then bake at 375 (10-12 minutes for mini; 18-20 minutes for larger).